Since Turris MOX is in a lower price range than Turris Omnia, it was clear that we will have to find a solution that can be manufactured at a lower cost than the Omnia aluminum case. Soon enough, we decided to go with a plastic case. 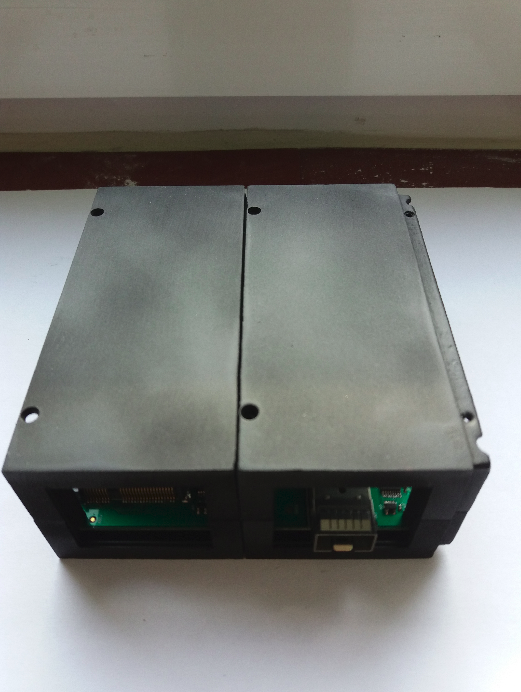 We designed our first prototype ourselves, as one of our hardware developers is a passionate modeler. You can see the result for yourself on the following picture. A simple square box with protruding edges for better cohesion. The bottom and top were connected by means of screws in columns. The joining of the individual modules to one another was carried out using the screws going through both parts. Snapping the front faces on was quite difficult as well. This was definitely not the right way. Thanks to the recommendation of one of our suppliers, we went to consult our design to a production company. 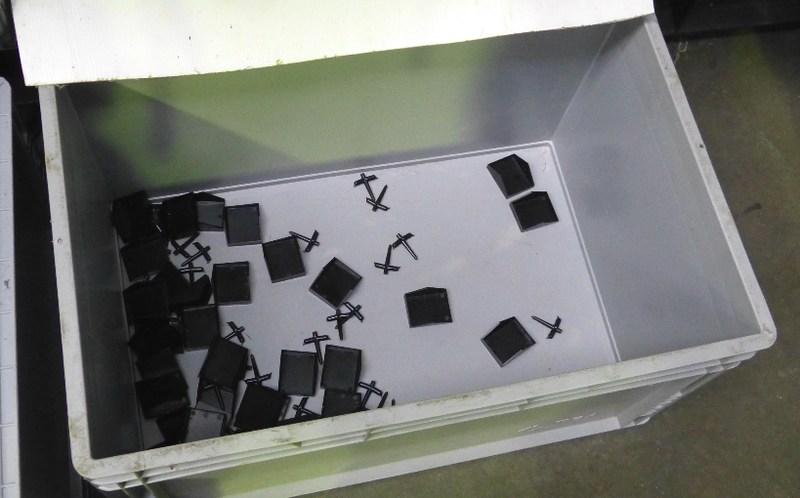 There we learned about the pitfalls of molds for plastics injection molding, the technology of injection molding itself, and the fact that making columns with a reusable screw thread is neither easy nor cheap. We have reached a clear conclusion after this meeting – there is no way we can design a usable case on our own. So we turned to professionals. The result of their work were several designs that they showed us in person. You can see the designs that were not chosen on the following picture. 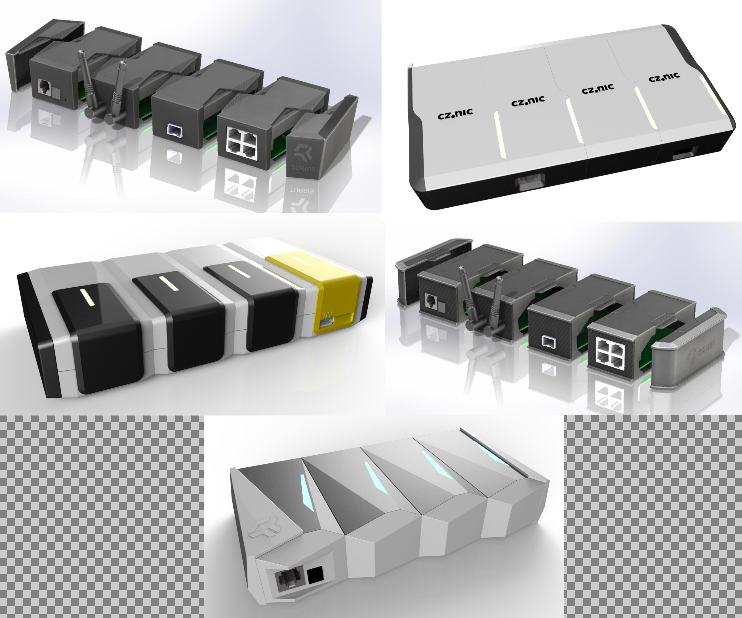 Pictures of the winning design from the Prague-based company Exact Technology could be seen in our Indeegogo campaign. At the time of the campaign on Indiegogo, we already had the first functional samples of powder-based 3D printing. 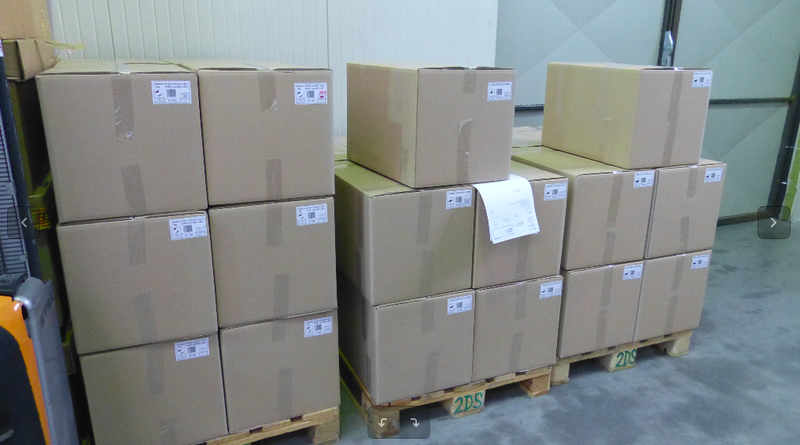 Meanwhile, we have selected the case manufacturer – the 2D$S company from Kuřim. An interesting fact about this company is that they are the authors of returnable plastic cups that you can encounter at many cultural events. This was followed by several weeks of three-way communication between us, the manufacturer, and the design authors, during which we were fine-tuning the final data for mold production. 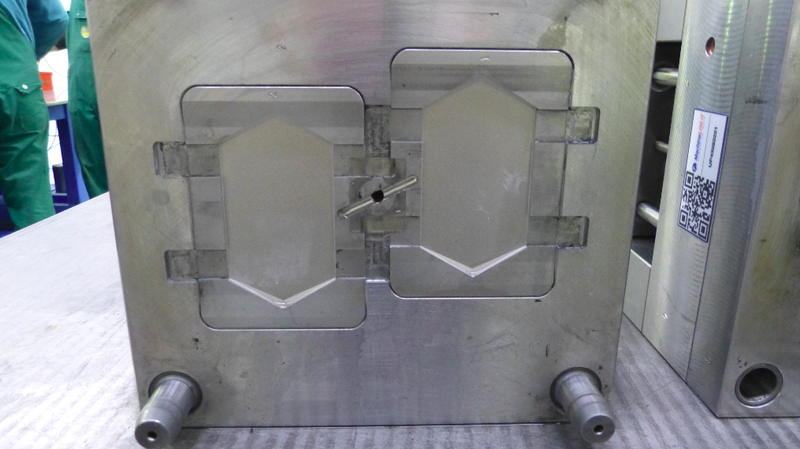 After a little delay caused by overheating of the entire MOX and the need to make the side panels perforated, 2D$S could start to manufacture the injection molds. Making drawings and molds takes about 2 to 3 months. Tool steel is used for the molds. It’s actually a few massive parts connected to each other. Liquid plastic is injected through these parts at a temperature close to 200 degrees Celsius. 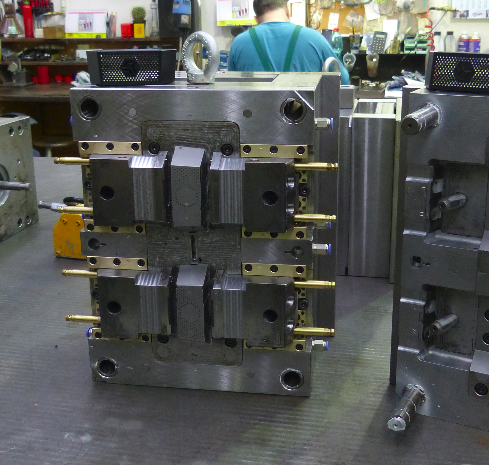 In the mold, it assumes the desired shape and gradually cools down. 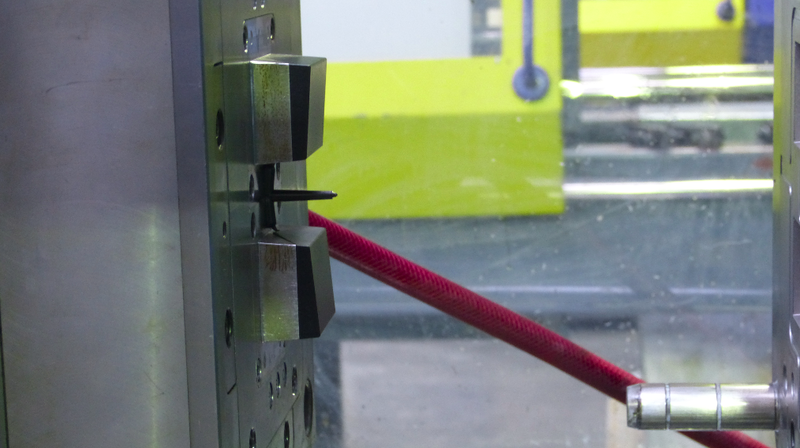 The pressure at which the plastic is injected into the mold reaches hundreds of bars. 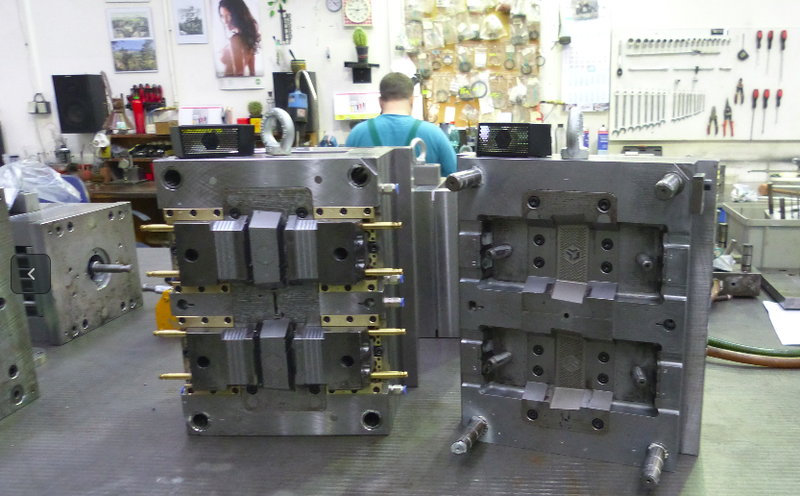 The pressure of the two mold parts against each other must therefore be in tons. If this is not the case, and even a slight gap appears between the mold parts, the liquid plastic flows out of the mold and the entire process of manufacturing the part is impaired. Cooling must be controlled, so it is neither too slow nor too fast. It is controlled by constantly flowing water in the hoses that are drawn through the mold. The machine control unit then controls the water temperature. The final shape of the part is also important. It is not possible to make anything a designer comes up with. It depends on the direction of the individual edges and their tilt. After cooling down, the finished part has to easily fall out of the mold. Some of you may know the currently popular complex pieces in board games. If you look closely, you will find that they are glued from multiple parts. The reason is the impossibility of their production in one mold. Details of the two molds – the connecting honeycomb panels and the perforated side panels – can be seen in the following pictures. 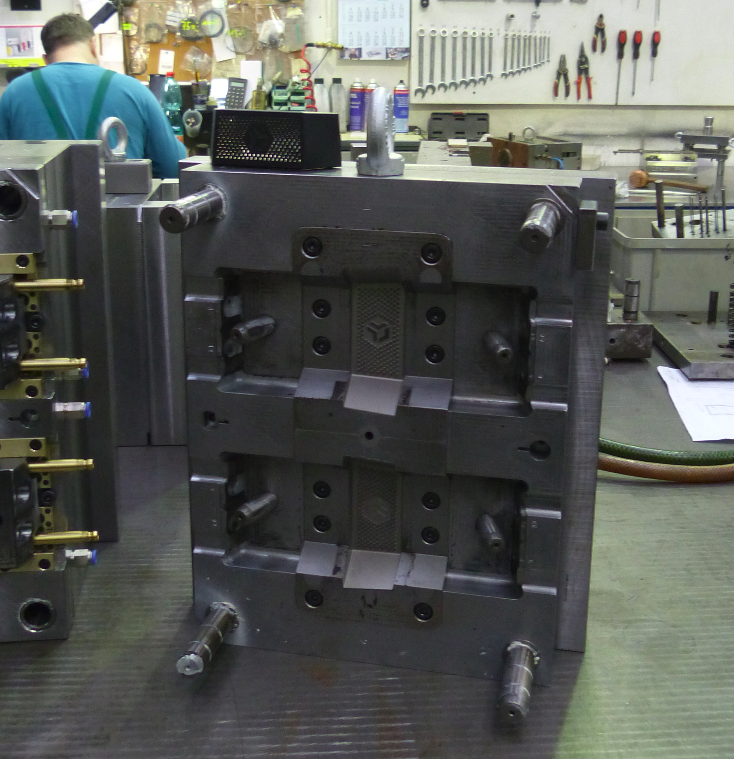 The correct design of the mold and its fine-tuning may require multiple attempts. We had the most problems with the perforated side panel. 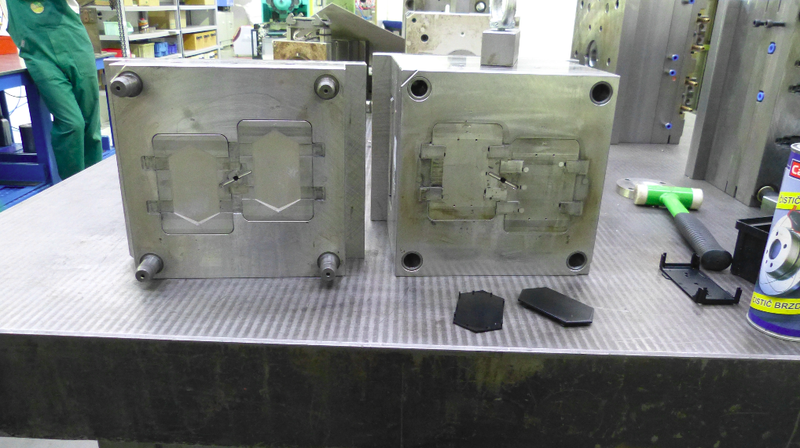 During the first iterations of the mold, the part ripped when leaving the mold. It was therefore necessary to adjust the radius of the individual holes. And every modification of the mold took some time. That’s why we’ve gotten into a minor delay with the whole project. You can see the first and last iteration of the side panel part in the following picture. You can see the opening and handling of the mold in the following video. 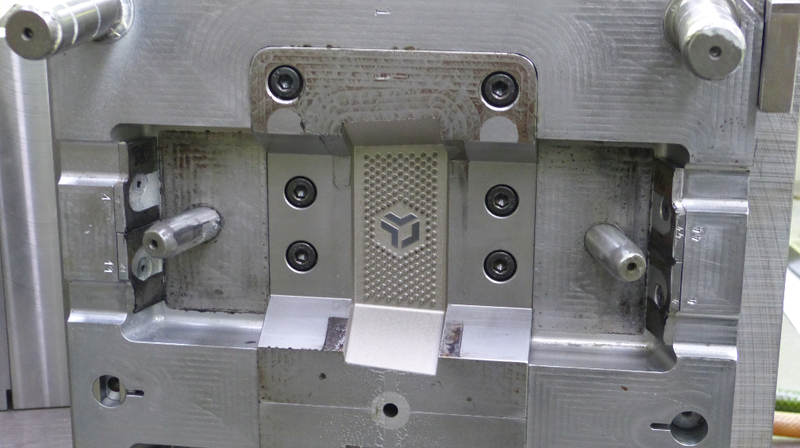 When all molds are ready, trial versions can be made. Based on their testing with embedded MOX production modules, minor adjustments are made. 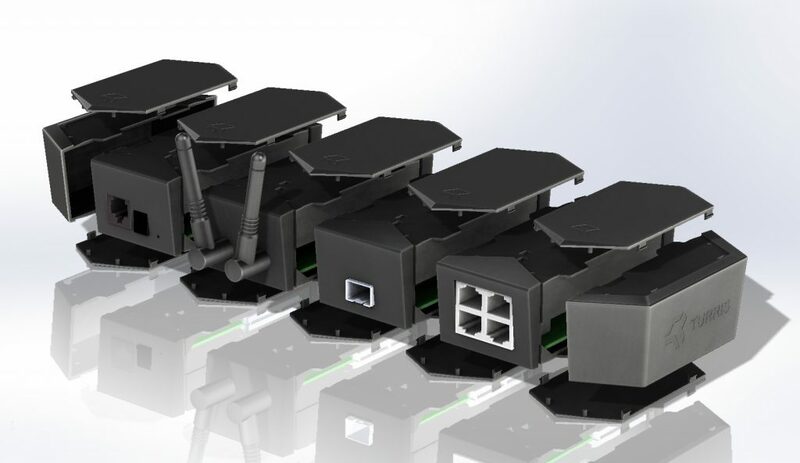 For example, leading edges are modeled, the design of the visible parts is being modified and the inlet openings are concealed to be as little visible as possible to the user and not to disturb the overall appearance of the product. However, they cannot be completely concealed on some parts because of the production technology. Due to these minor changes, for example, it took four attempts to finally finish all front faces (in fact, one mold with replaceable movable interior). In the following picture, you can see the front face before concealing the inlet opening. The production itself is quite simple. 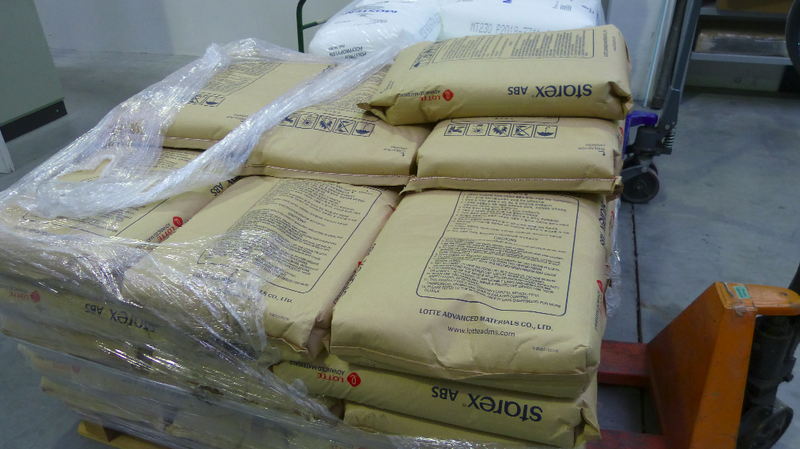 The basis is ABS plastic, which is delivered in sacks in the form of granules. 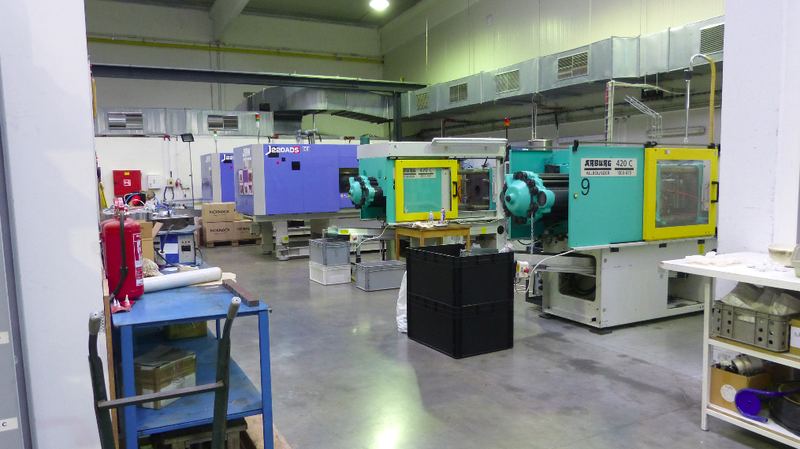 There are several machines in the production hall of our manufacturer, into which the molds can be placed. 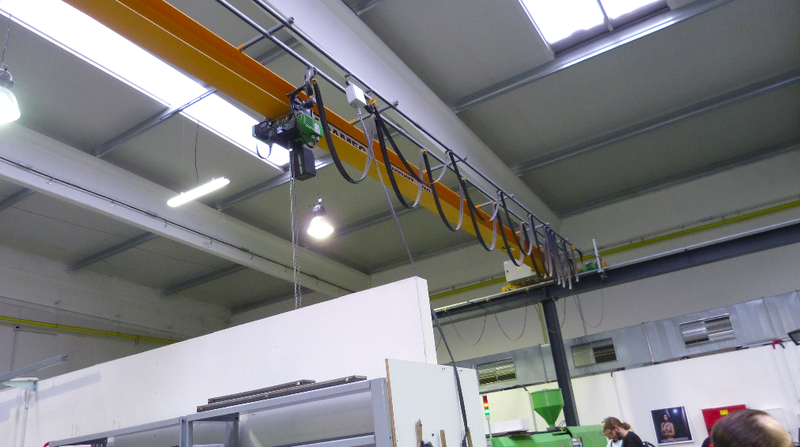 One mold weighs about 300 kilograms, so it is not that easy to handle. 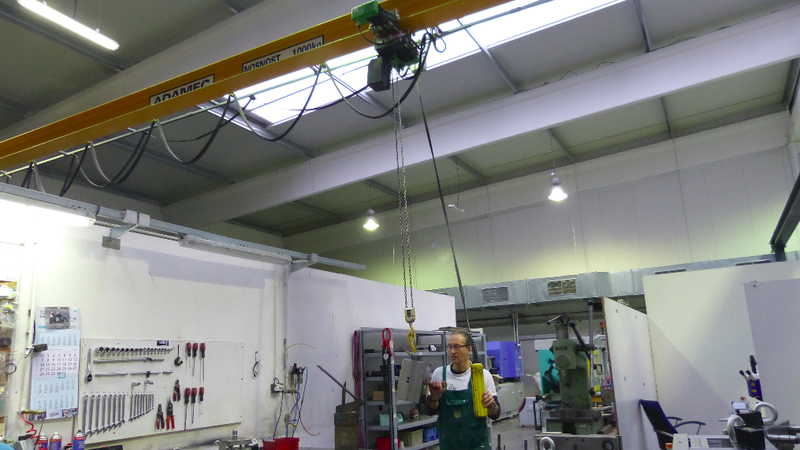 Therefore, the production hall is equipped with a crane. 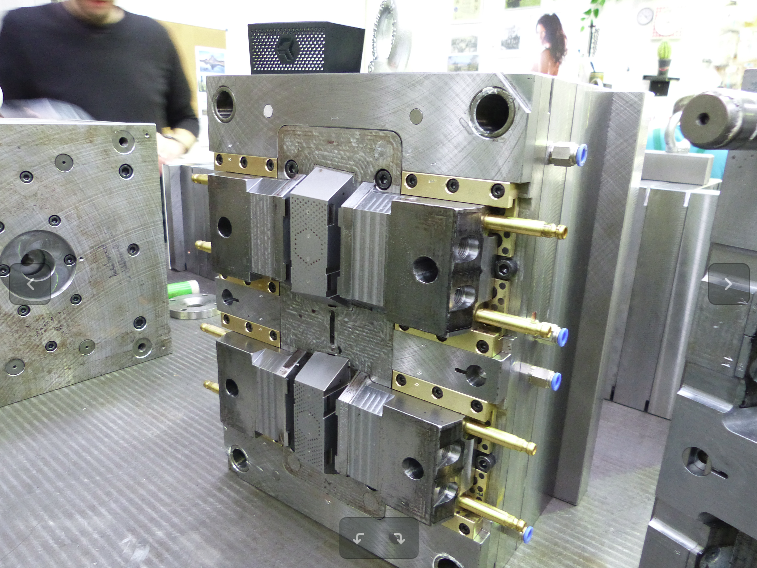 On the second photo you can see the relocation of our mold for front face production. 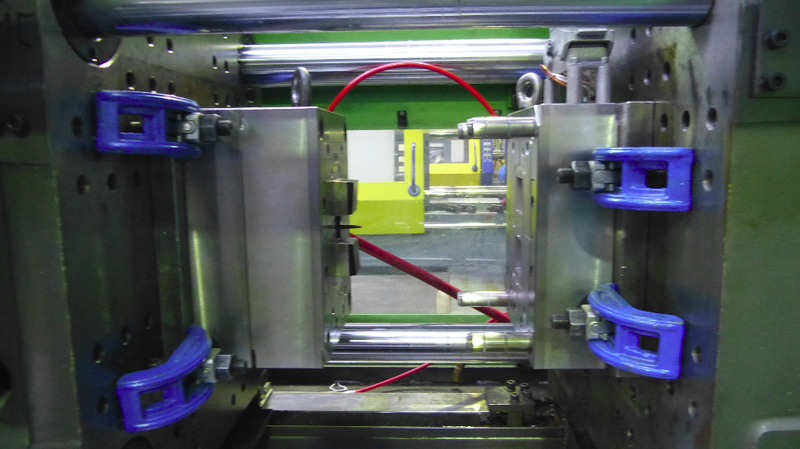 Once the mold is placed in the molding machine, the cooling and plastic injection circuit is connected and the production can start. Finished products fall from the machine into a prepared box where the operator collects, checks and places them in the shipping cardboard box. 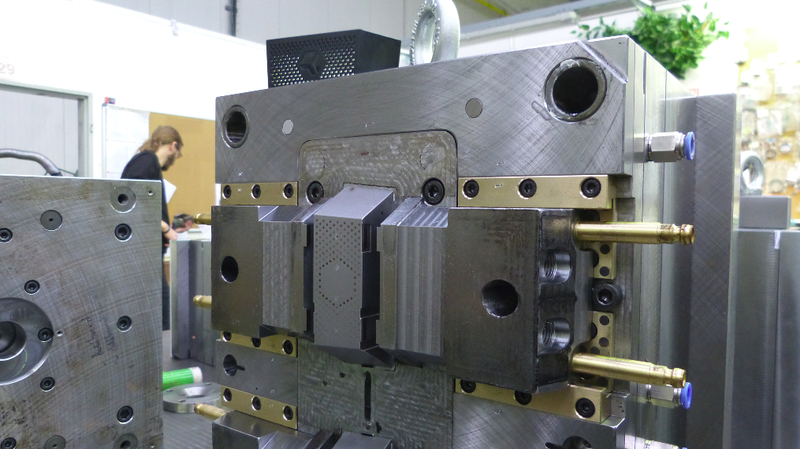 Production of individual parts is quite fast. In the following video, you can see one production cycle of front face for MOX B, C, D, and G modules. 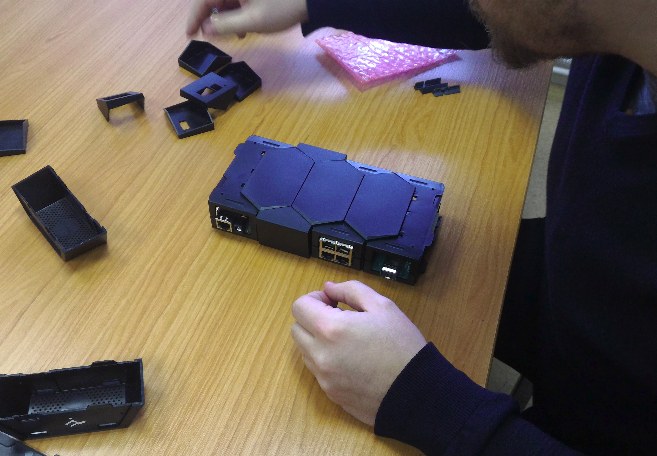 The result of the whole process is a really modular box that holds together without a single screw, is easy to assemble and disassemble, and thus contributes to the uniqueness of the entire Turris MOX router. could you please post a how-to dissasemble a turris MOX? 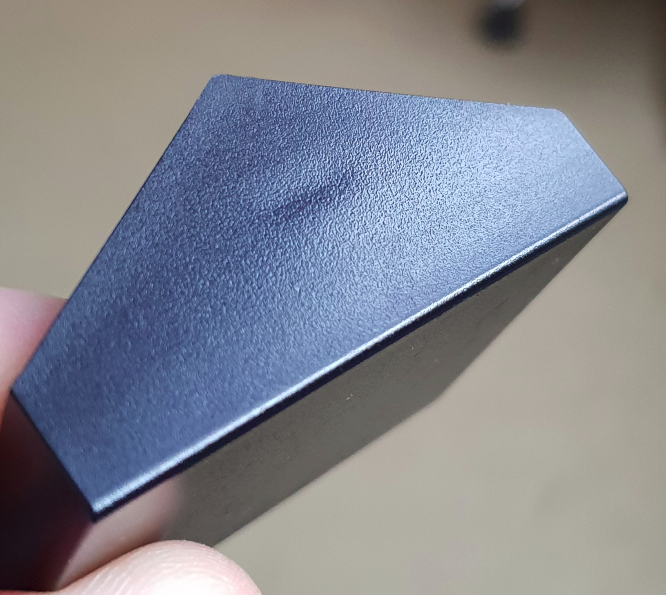 top cover plastic part (octagon part). Next keep going to removing cover plastic from top and bottom side. Now, you can remove one of module from other. And finally, when you remove front and back part from each module, you can separate whole Turris MOX. Important, if you have module with wifi, you will pay attention to pigtails.